Washington Capitals star Alex Ovechkin logged another milestone on Tuesday night, becoming the top-scoring Russian player in the history of the National Hockey League. 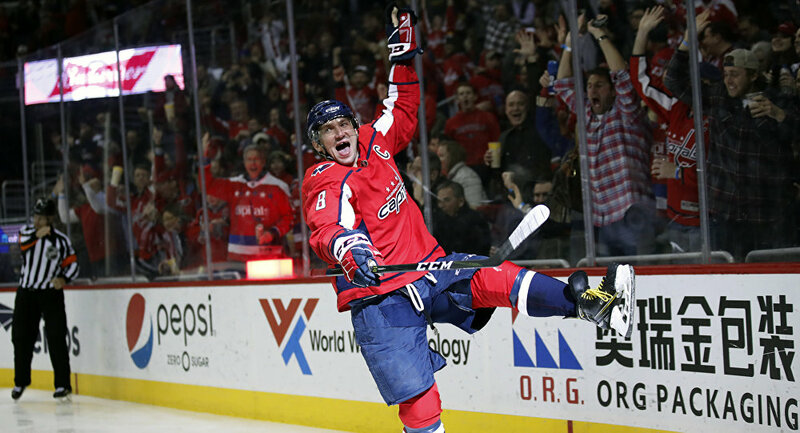 Picking up his 1,180th point, Ovechkin broke his scoring tie with fellow Russian hockey player Sergei Fedorov, who previously played with the Washington, DC, team. Ovechkin broke the Russian mark in his 1,055th game, 193 games fewer than Fedorov played. ​"It was hard work, lots of hockey, and I think I'm proud for my family, for my dad spending time all the time with me," Ovechkin told NBC Sports. "It's history, and I passed all those legends. You know, it's pretty big, and I appreciate everybody who do all work with me, my teammates, and it's huge." "When you start playing hockey and you came to the NHL, you just have a dream to score one goal or two, and now I'm No. 1 on the all-time Russian list. It's pretty amazing," he added. Having stayed friends with Fedorov since the two played together on the Capitals in 2008 and 2009, Ovechkin told reporters that he believed the Hockey Hall of Fame player would be glad to know it was him that beat his record. "I talked to him and said it's a huge honor," Ovechkin said. "Obviously, we have a very good relationship, and I'm pretty sure he's pretty happy for me that I beat him." Commemorating the latest addition to his 14-year career on the ice, Ovi also got a shoutout from his parents, who praised the athlete for "glorify[ing] Russian sports in North America" and for never forgetting his Russian roots. "Keep going down your own path, do your own thing," they wrote in a letter obtained by NHL.com. "You just keep playing hockey, keep having fun doing it, like you did as a boy. This feeling is always with you. The love of for the game, coupled with your hard work." The Tuesday night game ultimately ended with the Caps taking the win, beating the Vancouver Canucks 3-2. But the night wasn't just about Ovechkin's record or the victory. During the sporting event, the Caps aired a tribute video for Jay Beagle, a former Caps player who signed as a free agent with the Canucks over the summer. The video included highlights from Beagle's career and moments with his family and former teammates. The Tuesday game marked Beagle's first return to Washington since he left for Vancouver. 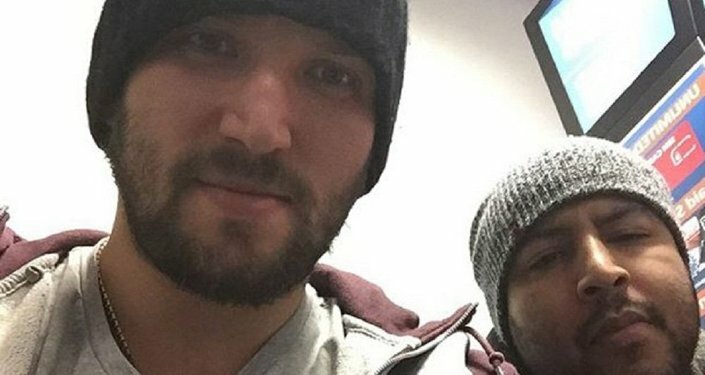 ​From Ovi's new record to his parent's heartwarming letter and Beagle's tribute, it's no surprise that a few tears were shed during the game. We're not crying, you are!